Robert Sachs is an attorney and business executive who has served in various leadership positions in the cable TV and telecommunications industries for more than 35 years. Robert is co-founder and principal of Continental Consulting Group, a Boston-based consulting firm specializing in broadband communications. From 1999 until 2005, he served as President & CEO of the National Cable & Telecommunications Association, the principal trade association of the US cable television industry. 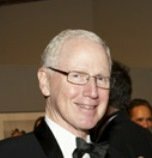 For the prior two decades, Robert served in executive capacities with Continental Cablevision, Inc. and its successor, MediaOne, Inc.
Robert serves as a governing trustee of Dana-Farber Cancer Institute. He co-chairs the Institute’s Quality Improvement & Risk Management Committee and serves on the Institute’s Executive Committee. A 30-year cancer survivor, he is a former chair of the National Coalition for Cancer Survivorship, a patient advocacy organization. Robert serves as a director of the Public Broadcasting Service (“PBS”), and a trustee emeriti of WGBH Educational Foundation where he chairs WGBH’s broadcast spectrum working group. He is a former director of StarHub, Ltd., Global Crossing, Ltd., Big Band Networks, Inc. and Update Logic, Inc.
Robert holds a bachelor’s degree in political science from the University of Rochester, an MS in journalism from Columbia University, and a JD from Georgetown University. Additionally, he completed the Program for Management Development at Harvard Business School. He is a member of the bar of the Commonwealth of Massachusetts and the District of Columbia. Robert is married to Caroline Taggart, a fine arts professional. He and Caroline reside in Boston. Mr. Sachs is Co-Chair of the PBS National Policy Advisory Committee and he serves on the Nominating and Corporate Governance, Station Services, and Finance committees and the Member Services Access Working Group.